April 25: 5 POWER Lessons From 5 Leaders Who Made History On This DAY! Ages roll and so do generations! You do have the ability to rule every era in the future with your efforts. These five empowering lessons are sure to guide you and help you reach any height that you dream of. Read on! There is nothing great in assuming and presuming things which you don’t have enough knowledge about. Greatness and winning quality is in asking to learn more about what you don’t know. The skills you import by absorbing the shared knowledge and wise move that you make by analyzing your learnt lessons empower you to succeed in all that you want. One of the very important ways to elongate your list of achievements is to add a little more to what you already know and have. And this addition will be given to you when you explore; asking is the skeletal and primary process to explore, win, lead and inspire. Assumptions are silent, blind conclusions but decisions made after asking and learning are kind of eye-opening. Guglielmo Marconi never hesitated to ask. He never felt that he would lose his position if he asked; in fact, it helped him grow. He learnt to add more to his already gained knowledge. Inferiorities never stop the hungry mind from asking to satisfy its hunger. Defining the same, the Italian inventor and electrical engineer pioneered his work on long-distance radio transmission. 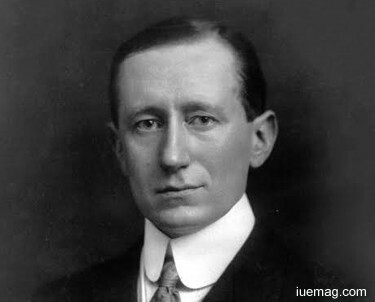 He was instrumental for the development of Marconi's law and a radio telegraph system. The entrepreneur, businessman, and founder of The Wireless Telegraph & Signal Company became successful while his success continues to inspire the rest to succeed. Our responsibility doesn’t end after we decide to bring in change; it in fact starts there. Think big but start small. If you want to accommodate a change, then start making a difference right from your home, from your institution, from your work place, from your area and then the wave of change automatically diverges into the entire world. See the change by establishing it into yourself, your family, your friends, your relatives, your colleagues and then you need not do much; because, the souls you changed will start changing the remaining. This is the power of good deeds. The implicit strength that you have gets revealed to endorse your abilities and capabilities. Edward Grey revolutionized the method of living life which was followed by the most. Miracles happen when wonders which are hidden in the ‘newness’ is pulled out. 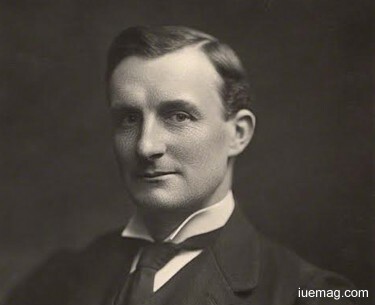 Sir Edward Grey, a British Liberal statesman served as an adherent of the New Liberalism. The foreign secretary held his office for the longest continuous tenure among all who held it. He found some other way to achieve in his life as an alternative to his idle studies; he became the university champion at real tennis. Grey left university with no clear career plan but his life had planned something better and auspicious for him. Hard work is the foundation stone to support proficiency. Before you take a break, you got to deserve it. Every successful worker is named so when he/she fills his/her heart and mind with work, tasks and responsibilities. The true sanctity lays in fulfilling all our duties and achieving them within the targeted time limit. Does anything else seem important when it comes to work and responsibility? How can something else over take the place and importance of duties when they directly add meaning to the reason why you are living? Your identity is your designation and hence molding, shaping and driving your professional life is directly proportional to the development of the progressive world. 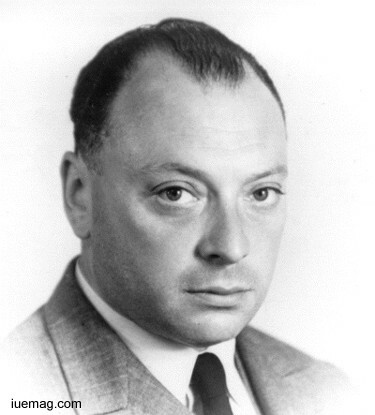 Wolfgang Ernst Pauli gave meaning to the statement- ‘awards and rewards rain over you only when your hard work and dedication over flows.’ An Austrian-born Swiss and American theoretical physicist was one of the pioneers of quantum physics. Receiving the Nobel Prize in Physics for his significant and diligent discovery of a new law of Nature- the exclusion principle or Pauli principle was a result of his tremendous and tireless efforts. Day and night had no difference; Sunday and Monday were all the same during his workaholic journey. His studies laid the foundations of quantum theory and he extensively participated to witness rigorous advancements which happened in his domain. Your sincere attempts are sure to be recognized. Before we achieve, our passion spreads the fragrance of what we do and later as soon as we hug success, our success itself spreads the fragrance. But this time, it is the fragrance of inspiration and motivation for the world to focus on what it has to. You don’t have to promote and campaign your victories, awards, rewards, achievements, recognitions and appreciations because, success does it all. The path which you take behaves as a brand ambassador to hold your persona high up. This mirrored the life of Surgeon Vice Admiral Godfrey Milton-Thompson who revolutionized the art of succeeding. 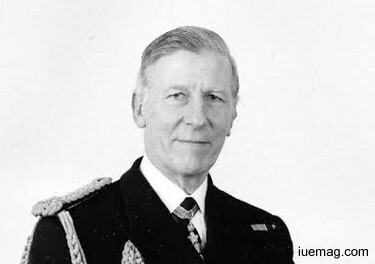 The senior Royal Navy officer served as a Surgeon-General, senior medical officer of the British Armed Forces and his professional profile has no end. His efforts combined with hope illuminated the ray of acute and healthy developments. He played a major role in establishing ‘goodness’ into the society; he fought for the retention of dedicated military hospitals, which were under threat from cost-cutting measures. Not depending on anyone, this fighter studied medicine by winning scholarships. The dedicated and pure-hearted service that he delivered introduced his ‘win’ to the entire world. Goodness and good things don’t require a medium and a reason to spread. You are the hero of your life. The leader doesn’t stop after accepting the reality but actually starts after it. The transcending power and beauty of our lives shall be certainly unleashed by knocking the door of success with strong, awakening and change-bringing thoughts followed by actions. If you stagnate your way with positively provoked decisions, then you are sure to amaze the world at every process that transforms your life into a master piece. When you are the main lead, it is undoubtedly you who is going to decide, set and start. However, it is important to remember that the leaders are always observed, followed and looked upon. John BevinsMoisant led his life to succeed and to add onto his greatness, he behaved as a guide for all the others to lead their lives. His superior qualities over took all the inferiorities of his life which would otherwise engulf his optimism. He tried experimenting not just to learn but to win; and this proves that he was never a victim to take what negativities offered. 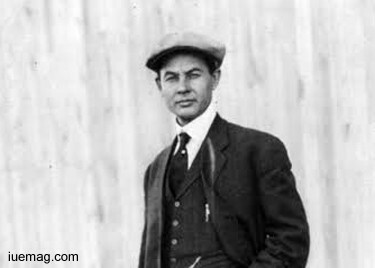 Called the "King of Aviators," the American aviator, aeronautical engineer, flight instructor and businessman stood as a revolutionary. He ruled the beauty of succeeding and was active in bringing new things to reality; he was the first to conduct passenger flights over a city and across the English Channel, from Paris to London.